Community economic development is increasingly a strategy in the fight against poverty that is complementary to more traditional approaches, such as employment training, guaranteed income, and social assistance targeted at individuals rather than communities. 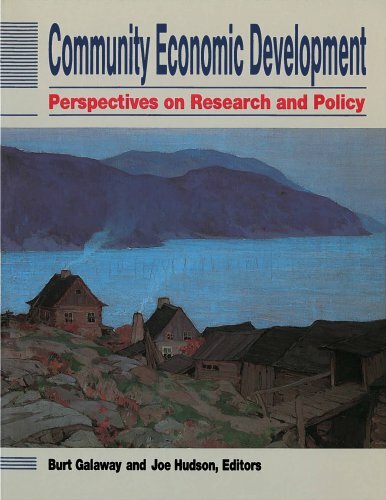 This is an important new book that identifies and critically assesses the current state of research on community economic development. This book will be of interest to decision makers in the government and non-government sectors, community developers and practitioners as well as researchers and students. 13. A Review of Four Evaluations of CED Programs: What Have We Learned in Two Decades?